3 TDs (118.6 passer rating). 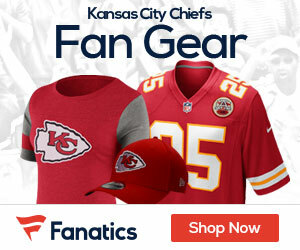 Chiefs TE Travis Kelce has 6 catches for 106 yards & 2 TDs. BROADCAST ESPN/ABC (4:35 PM ET): Mike Tirico, Jon Gruden, Lisa Salters (field reporter). Westwood One: John Sadak, Mark Malone, Scott Kaplan (field reporter). SIRIUS: 88 (WW1), 83 (KC), 82 (Hou). XM: 88 (WW1), 226 (KC), 82 (Hou). TEAMS MEET for 1st time in postseason play. CHIEFS: Aim for 1st road playoff win since 1/16/94 vs. Houston Oilers in Divisional round…Have won 10 consecutive games, longest streak in club history & longest active streak in NFL. 1st team in NFL history to win 10 consecutive games & have 5-game losing streak in same season…In 3 career playoff games, QB ALEX SMITH has passed for 873 yards with 9 TDs vs. 0 INTs for 108.6 rating. Aims for 4th playoff game in row with 97+ rating. Has 3-0 record vs. Hou as starter, passing for 642 yards with 4 TDs vs. 2 INTs for 88.1 rating. Since 2011, ranks 2nd in NFL in INT pct. (1.4 pct.). Rushed for 498 yards in 2015, 2nd-most among AFC QBs & most ever by Chiefs QB in season…In past 4 on road, RB CHARCANDRICK WEST is averaging 88.5 scrimmage yards per game (196 rush, 158 receiving, 354 total) & has 3 total TDs (2 rush, 1 receiving)…WR JEREMY MACLIN led team with career-high 87 catches (most ever by Chiefs WR) for 1,088 yards & 8 TDs. In 2 career postseason games (with Eagles), has 10 catches for 219 yards, including 76-yard TD. In 2 career meetings at Houston, has 11 catches for 210 yards & 2 TDs. Has 6 TDs in past 7 overall, including 25-yarder last week vs. Raiders. Aims for 4th in row with TD. TE TRAVIS KELCE had career-best 72 catches in 2015, joining TONY GONZALEZ as only Chiefs TEs with 70+ receptions in single season. Since 2014, ranks 3rd in AFC & 4th in NFL amongst TEs with 1,737 receiving yards…KC led AFC & ranked 2nd in NFL with 22 INTs. Rookie CB MARCUS PETERS tied for 1st in NFL with 8 INTs (most among rookies) & 2 INT-TDs. Led NFL with club-record 280 INT-return yards. 1st rookie to tie for league lead in INTs since 2009 (JAIRUS BYRD). Has 4 INTs in past 5. In past 21, LB JUSTIN HOUSTON has 22.5 sacks, 4 FF & 2 INTs. Since 2012, ranks 2nd in NFL with 50.5 sacks (J.J. WATT). Had sack in only career playoff game (1/4/14 WC vs. Ind). LB TAMBA HALI posted 6.5 sacks in 2015 & has 86 career, eclipsing NEIL SMITH (85.5) for 2nd-most in franchise history. Has 2.5 sacks & 2 FF in past 2 meetings. Club had 5 players selected to 2016 Pro Bowl (TE Kelce, LBs Hali & Houston, S ERIC BERRY, CB Peters). TEXANS: Won AFC South for 3rd time in club history & 1st time since 2012. Are 2-0 at home in postseason…QB BRIAN HOYER will make postseason debut. Passed for career-high 19 TDs in 11 games in 2015. In past 10, Hoyer has passed for 2,370 yards with 18 TDs vs. 6 INTs for 93.3 rating. Has 2+ TD passes in 7 of past 10. Has won 4 of past 6 starts…RB ALFRED BLUE led team with career-high 698 rush yards. Rushed for 254 yards in past 3 (84.7 per game), incl. 2 100-yard games. Last week, RB JONATHAN GRIMES became 3rd player in Texans history with rush TD & TD catch in same game, joining RBs ARIAN FOSTER & STEVE SLATON…WR DE ANDRE HOPKINS led team with 111 catches for 1,521 yards & club-record 11 TD receptions. Joined ANDRE JOHNSON as only Texans with 100 catches & 1,500 receiving yards in single season. In 2015, became 3rd-youngest player in NFL history to reach 200 career catches. In 2 career meetings, has 12 catches for 174 yards & 3 TDs, including 9 receptions for 98 yards & 2 TDs in last meeting. 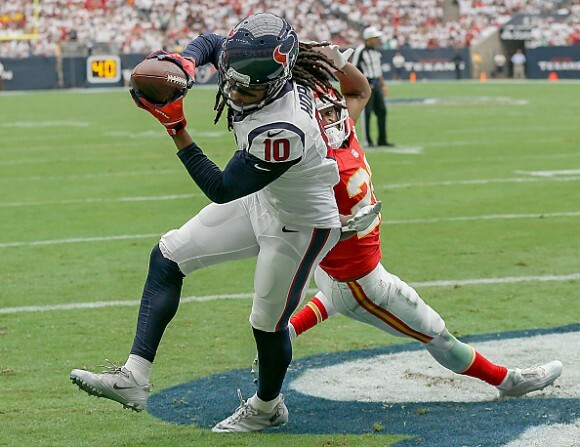 WR NATE WASHINGTON posted 47 catches for 658 yards & 4 TDs in 1st season with Texans, including 6 catches for 105 yards vs. KC on Kickoff Weekend…Texans ranked 2nd in AFC in total defense & pass defense (210.4 yards per game). Only team in to have 2 players with 12+ sacks in 2015 – DE J.J. WATT (17.5) & LB WHITNEY MERCILUS (12). Watt led NFL with 17.5 sacks in 2015 & is 1 of 7 players to lead league twice since 1982. In past 21, has 28.5 sacks, 5 FF, 2 FR, safety, 10 PDs & TD catch. Since entering NFL 2011, leads league with 74.5 sacks. Last week, joined HOFer REGGIE WHITE (3) as only players with 15+ sacks in 3 of 1st 5 NFL seasons. Has 3 sacks & FF in 2 career meetings. Mercilus has 10 sacks in past 10, including 3.5 last week vs. Jaguars. LB BRIAN CUSHING led team with 110 tackles. S ANDRE HAL led team with career-best 4 INTs, including 31-yard TD in Week 6 vs. Jaguars. In past 3 at home, LB JADEVEON CLOWNEY has 2.5 sacks…Club had 2 players selected to 2016 Pro Bowl (WR Hopkins & DE Watt).